T.I. 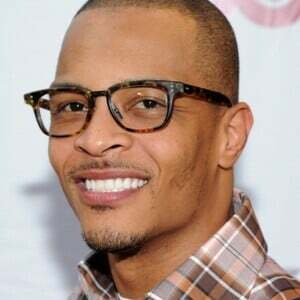 net worth: T.I. is an Atlanta-based rapper, producer, author, actor and CEO who has a net worth of $50 million. T.I. was born Clifford Joseph Harris, Jr. on September 25, 1980 in Atlanta, Georgia. He was raised by his grandparents and first started rapping when he was just eight years old. T.I. briefly attended Douglass High School before dropping out to launch a music career. During the period directly after leaving high school, T.I. dealt drugs and was arrested several times. He soon earned the nickname “Rubber Band Man” thanks to his habit of wearing rubber bands around his wrist as a metaphor for how much money he was making. “Rubber Band Man” would eventually be the title of one of T.I’s earliest singles. T.I. was signed to Arista Records and released his debut album “I’m Serious” in October 2001. Since entering the music business in 2001, T.I has released nine studio albums. T.I. is also the founder and CEO of Grand Hustle Records and a successful actor. He has starred in several films and television shows including “Takers”, “ATL”, “American Gangster” and “Boss”. His recent music hits include “Got Your Back”, “Dead and Gone”, and “Live Your Life”. T.I. is also no stranger to controversy. He has been arrested several times and served two jail sentences for gun charges and probation violations. T.I. has been dating Tameka “Tiny” Cottle for over 10 years and they were married in Miami on July 30, 2010. Tiny and T.I. share two sons together. T.I. also has two sons and a daughter with two different women and a step daughter through Tiny.